Charles Murray is a conservative and controversial political scientist and writer who has recently written a book called “Coming Apart, the State of White America.” (You might, even if you’re living in England learn something from taking Murray’s “Coming Apart” quiz here. I think about Murray and his thesis—that we have become two hermetically-sealed societies that seemingly never interact—as I try to wrestle with the rise of Palin/Trump/Guns and the Tea Party, and England tries to find the reasons why (beyond the so-called reason of ‘racism’) for Brexit. 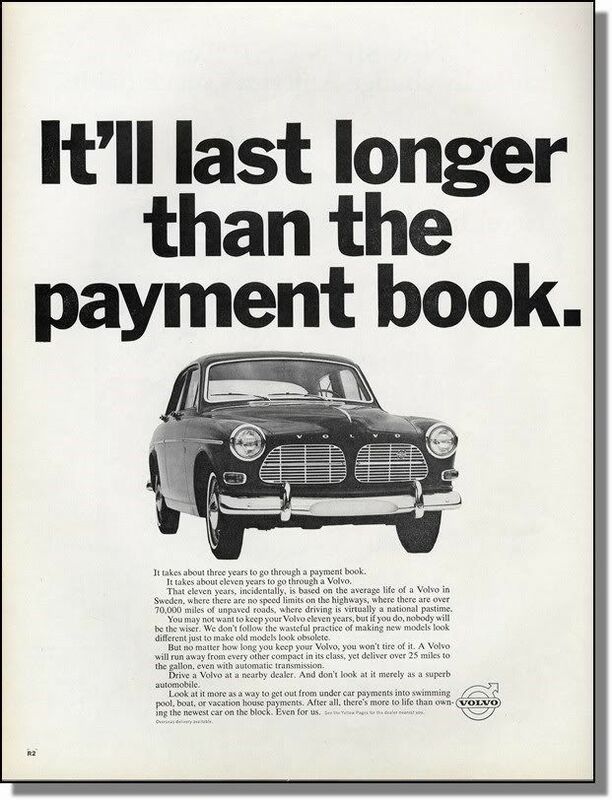 For whatever reason, the dualities of our world bring me back to the advertising business. Sadly, it seems like a business that has lost touch with the woes, hopes, dreams, fears, needs of real people. No better testament to that is the festival—the bacchanal—at Cannes. I wonder how many ad people today have the sensitivity to understand an ad like this. I wonder how many ad people understand the anger and the fear and the paroxysms of the burgeoning American underclass. 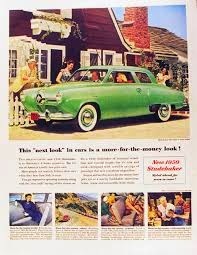 My father kept his Studebaker until 1977. From "Public Enemy," (1931). One of the 10 most famous scenes in film history. Like my father, Clarke was born in Philadelphia. Her real name was Violet Mary Klotz and It's safe to assert that she never really transcended her Klotzness. Despite looking pretty good in a tight sateen flapper-style gown and having had some critical success, she was really never anything but two-bit. She never became the star she wanted to be. At this point in my father’s story his Studebaker had just about reached the corner of Broad and Walnut in Center City Philadelphia. 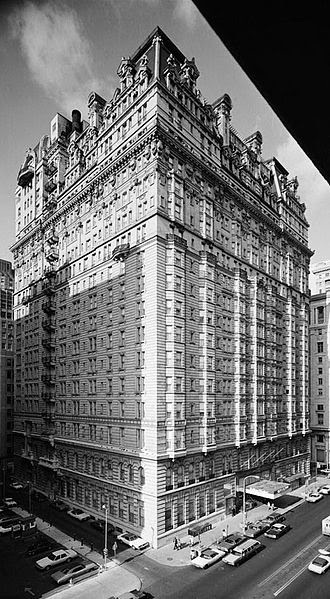 The Bellevue-Stratford stood there, still a few years before it became notorious for something called “legionnaire’s disease." The disease killed 29 American Legionnaires and sickened 182 others in 1976. After a week, or maybe more, of bright, cool, azure San-Francisco-like weather, a thick smudge has settled over New York that you couldn't blast away with a thousand jackhammers. The city seems to have slowed, as if the black cars and the cabs and the tractor-trailers and the Maseratis were running through molasses. Even the merry and jaunting squeals of children as they head off to day camp in the green of suburbia seems dampened by the sump of the summer air. The sky is the color of lint from a dryer and it won't make up its mind if it's going to darken and rain or brighten and bring even more heat to the city. It just sits there, the sky does, glowering and mocking us our discomfort. Revenge for the filth we attack it with. I was out early this morning, and stupidly exited my car at Lexington and 62nd--over two miles from work. West I trod accumulating sweat and apprehension with each block. Of late, I have been gloomy. Gloomy, I think, primarily from seeing the plasticine smiles from southern France, where so many of my Facebook friends have been for the last week or so. Gloomy that we--creators of images--should know and excoriate better than anyone the Empire of Illusion and Cycle of Cynicism we perpetuate when we laud work that's never run, or worse, is purpose-built for winning. We all know the data--how many hundreds of trillions of messages we are faced with each day. Yet, despite those numbers, despite the pressing and oppressive ubiquity of a world where advertising covers nearly every square inch of everything, no one has ever "seen" an ad that's run at Cannes. Still that becomes our shibboleth: to win at Cannes. A heavy pall is hanging over the city. Maybe it has nothing to do with the weather. I learned this in 7th-Grade Latin. --I sat in seventh grade Latin class and learned something that went beyond declensions and conjugations. There was to be on Friday evening a seventh grade dance and Mr. Beal, our stern ex-Marine vice principal, had issued an edict: boys attending the dance had to wear a sports jacket and a tie. To the assembled 12 and 13-year-olds in class, this seemed like the ultimate outrage. Blue jeans and t-shirts we de rigueur, and a step back into "Leave it to Beaver" clothing seemed all wrong to us. I remember protesting to our Latin teacher, Mr. Comeau, who, despite being a Latin teacher, seemed a fairly cool guy. Mr. Comeau had a response that silenced everybody. In response to why we had to dress up he said, simply: "You're less likely to roll on the floor like a zoo animal if you have a jacket and tie on." In short, there was a civilizing effect derived from authority. I think about this because it seems, once again, that the world has spun off its axis. Our government has ceased to function. We no longer have a functioning Supreme Court. Our voting system is filled with fraud and inefficiency. Our tax code, all ten million words of it, excuses the malefactors of great wealth and punishes the working man. And on and on. We seem to be throwing civilization away with both hands. And, of course, we do the same in advertising. We tell ourselves anyone can be creative and a great idea can come from anywhere. Ignoring completely, Malcolm Gladwell's thesis that it takes 10,000 hours of practice to master anything. No, we prefer to eschew civilization's jacket and tie. And roll on the floor like zoo animals. My office, way over in East New Jersey as it is, has broad and expansive views of the Hudson River. Yesterday as I was doing what I do (running from one meeting to the next) I happened to do the unthinkable: I looked up from my phone and out the window. There, in the giant martial shadow of a giant martial aircraft carrier--we live, let's face it in the giant martial umbra of our military-industrial complex--I saw down in the river, a gaggle of kayakers meandering and splashing their double-paddles. The world is both an amazing and amazingly frustrating place. Today, or last night, we learned the news of Britain's exit from the European Union. Which to my cynical mind reads in big bold 144-pt. type, "if it can happen there, it can happen here." Yes, we could elect the short-fingered dancing bear in our three-ring electoral circus as the next president of what Lincoln once called "the last best hope of mankind." That is to say, it often feels like the world has spun off its axis and is about to hurtle into space. The DAX is down over 700 points and the FTSE 100 down almost 500. I don't even want to think about today's Dow and Nasdaq. Like Ishmael, "I find myself growing grim about the mouth...it is a damp, drizzly November in my soul...[and] I find myself pausing before coffin warehouses and bringing up the rear of every funeral..."
I think about how the Hudson used to be. Viscous and inky, an open sewer. And while I still wouldn't set foot in it (though people do) there are those kayakers, like children in a playground laughing and splashing. We are, I think, like rivers. We can be all but dead and choked with effluvia and old shopping cars and a billion soda cans. And then, over time, we regenerate, we clean, we become, again, kayakable. Maybe this is too optimistic for this dark day. Maybe we've finally destroyed Western thought along with earth's once-balanced ecosystem. Maybe I'll ask the kayakers. When they come in from the river. I got another late start this morning. For one, my wife is out of town and I have more morning rigamarole than usual. Second, I had my usual Thursday morning therapy. And finally, I had a work review the moment I got in and haven't faced the computer till just this moment. Yesterday, my friend-from-blogging, the redoubtable Rich Siegel over at Round Seventeen celebrated his 500,000 viewer. That reminded me, I have just passed my ninth year as a blogger. Yes, I have been blathering publicly in this space since the world was somewhat cooler, way back in 2007. Since then, I have written over 4,600 posts. At 100 words a post, that's almost half a million words. That's about 1,500 written pages, or five 300 page books, which isn't an insignificant amount of output considering that I hold down a full-time job and this is just a hobby. Also since then, I've made a few friends along the way. The aforementioned Rich is just one. There are others. And I'm not a person who makes friends easily. This blog has also helped me find jobs. Work when I was freelance, and full-time employment when I was looking for that. As much as it's important for people to gauge your talent based on your book, these daily doses of writing and thinking, of humor or serious thought, often serve as reminders of who you are, and how you work. That's one reason why I encourage friends--especially friends who are looking for work, to start blogging. When you do this as avidly as I do, you have to do many of the things in blogging that you have to do in advertising. You have to show up. You have to be fresh. You have to be readable and relevant. You have to find an audience, and keep it. Five minutes with our CYO. Ad Aged: So, your title is CYO. In my boyhood that stood for Catholic Youth Organization. What does it stand for these days? CYO: To be honest, with awards-season underway, I’m surprise you don’t recognize the acronym. CYO stands for Chief Yacht Officer. Ad Aged: Chief Yacht Officer? What does that mean, what do you do? CYO: Well, right now, we have dozens of high-priced executives in Cannes, for instance. You can’t expect all those executives to drink in ordinary bars, do you? Ad Aged: I’m not sure I…. CYO: As Chief Yacht Officer, I am in charge of making sure that our agency has the best yacht possible for all our executive parties. Ad Aged: And best means? CYO: Well, our last CYO was fired for securing a 47-footer with two wet-bars whereas a competitive agency had a 74-footer with four wet-bars. Ad Aged: I can see how that would be cause for dismissal. CYO: In this era of cost constraint, pressures on the share price and decreasing margins, you can’t expect to uphold the image and reputation of an agency with anything less than a 100-foot yacht. Ad Aged: Of course. Unfortunately, our five minutes are up. I thank you for your time. CYO: I hope to see you aboard. Put I probably won’t. Yachts are well-above your pay-grade. Last night was a hellish night. About 50 of us stayed well-past the witching hour to pull together a presentation this morning. That wouldn't have been remarkable or even worth talking about, except that Uncle Slappy and Aunt Sylvie had flown in for a few days and I had to miss the evening with them. When your surrogate old-man and old-lady are 88 and fly up almost exclusively to see you, well, it's a pity I had to demure. I got home around 2:30, to a dark house, but nevertheless, was up just a few hours later, around 6, to keep a breakfast date with Uncle Slappy. The two of us walked to an old 24-hour coffee-shop called Green Kitchen--a holdover from the decades following the 1956 Hungarian uprising against the Soviets when my neighborhood, Yorkville, was a Hungarian-emigree enclave. Green Kitchen is farther away from my apartment than half a dozen other such coffee-shops, but like I said, it has Hungarian owners and as such they offer really superior Danish pastries, including a poppyseed Danish that Uncle Slappy assures me is to die for. We sat at a table near the back and drank our coffee and ate our pastries and we did what old Jewish men do and have done for all time, we moaned, we kvetched, we howled at the moon. "Boychick," Uncle Slappy began. "Too hard you are working. For what? Working till two in the morning. You think maybe you're a street-walker." "Ach, Uncle Slappy," I said. And it was all I needed to say because Uncle Slappy, of course, understood. The old man pulled at a ringlet of cinnamon and nibbled at it lovingly, the way you might nibble at the lobe of a tall blonde's ear. "You have to decide," he said wiping his face with a cloth napkin. "You have money in the bank." "I'm lucky that way. I've saved like a character from Dickens." I agreed. Nothing is really bothering me save for six months of dental surgery I have looming ahead of me. "You have to decide when enough is enough." The waitress filled our coffee cups and handed me the bill. Her name is Doris and I've known her since I moved into the neighborhood in 1982. I gave her a twenty for a ten dollar check and told her to keep the change. "Listen to the old man," she said. "Listen." When all the games are over (and games always end) it was time for me to say goodbye, once again, to Teresa and goodbye, once again, to Karman Rodriguez Barranca Costales. It was time to get back in my Ford Fusion and drive back through the desert, back past the sun-bleached Coca-Cola signs and the cactus, back beyond the green of Monterrey and the Praetorian guards at the border crossing, back to Corpus Christi, and back to New York. I don’t remember the score of the game people paid to see between the Delfines and the Seraperos. I stopped caring about games long ago—except maybe for ones my kids played in, and even those, I knew, I know, are dumb and ephemeral. They’re games, after all. Games we play as we struggle to find meaning in a world where there is little. Games that help us pass our days. Games that give us something to talk about. But in the end, they’re games. As meaningless as flying a kite in the dark. Teresa and Karmen walked me from the house to my rental car. I hugged Teresa and she handed me a small tin-foil wrapped package of bunuelos—donuts—she had made me, with the perfect ratio of cinnamon and sugar. I placed them, along with an iced-coffee on the little island between the driver’s seat and the passenger’s. Karmen hugged me as well. And we kissed. And hugged again. “There has hardly been a day when I haven’t thought of you,” I admitted. My Spanish is rusty, but I got it. “They are not long, the days of wine and roses.” Her Ernest Dowson got to me. “They Are Not Long” was always, since I first read it, one of my favorite poems. I said to her, in English, like I said my Spanish is rusty. She smiled a wistful smile. Like the smile I saw so long ago when I saw her in her White dress in the stands at Estadio Francesco I. Madura. “Sigue sonando, Jorge,” she said, as I backed the Ford out of the drive to begin my drive away from home and to home. This Band of Brothers. And Sisters. A bad afternoon in Saltillo. Confessions of an Old, White Man.